Last year I was super excited because I got to see the Coca-Cola truck for the very first time - in person! The girls were a little too young and didn't really know what it was all about. Growing up I was always excited seeing the Coca-Cola truck advert on TV. The music, the lights and just everything about the advert makes it feel like Christmas and I really can not wait until this years first Coca-Cola truck advert. 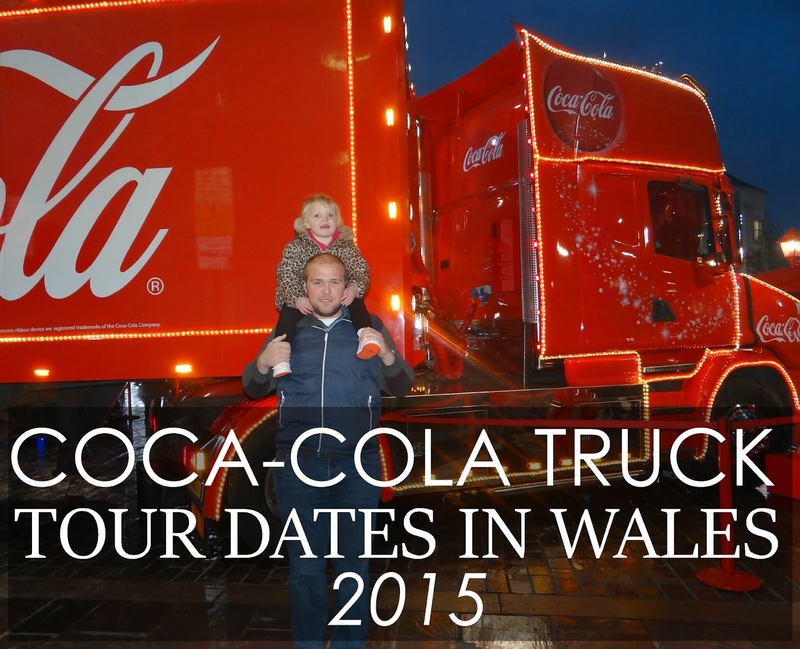 I got to see the Coca-Cola truck in Caernarfon last year, which is only a 15-20 minute car ride away from where we live so we didn't mind. This year it is a bit further so me, my partner and the girls won't be going to see it this time. The truck will be missing out a few towns from last year but will be visiting new towns this year. When: Wednesday, December 2 between 12 noon and 8pm. When: Thursday, December 3 between 12noon and 8pm. Will you be seeing the Coca-Cola truck this year?